AG Barr has delivered a solid first half financial performance during a period of substantial volatility in the UK soft drinks market. Group revenue grew by 5.5% to £136.9 million for the six months ended 28 July 2018, underpinned by a strong volume growth performance of 7.2%, reflecting the resilience of the UK-based soft drinks group’s core brands and its success in growing market share during this time of change. Profit before tax and exceptional items increased by 4.0% to £18.2 million. Statutory profit before tax was £18.2 million against £19.4 million in the corresponding period of 2017, which included the exceptional gain from a property disposal. AG Barr produces some of the UK’s leading drink brands, including IRN-BRU, Rubicon, Strathmore and Funkin. According to AG Barr, retail pricing increased across the UK market following the implementation of the Soft Drinks Industry Levy (SDIL) in April 2018. During the first half, the total UK soft drinks market grew value by 7.7%, while volume increased by only 3.8%. Against this backdrop, AG Barr’s core brands performed well in the first half as the group delivered strong volume share gains within the total soft drinks market with volume share increasing by about15%, driven by good performances from IRN-BRU, particularly in England and Wales. Following the successful execution of its reformulation programme, AG Barr continues to invest significantly behind its core brands, with particular emphasis on IRN-BRU, Rubicon and Strathmore. 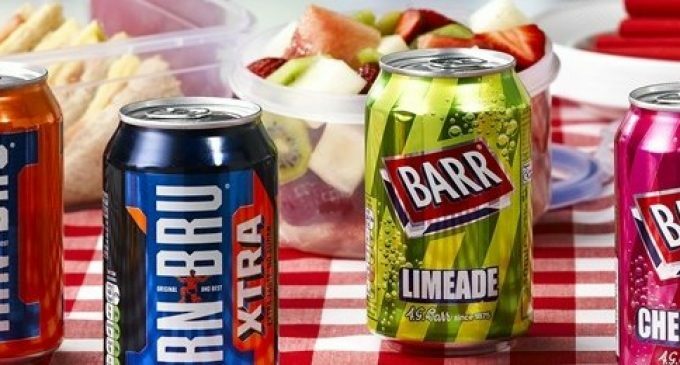 The group’s long-term innovation programmes are continuing, specifically IRN-BRU XTRA and Rubicon Spring, and new products have been brought to market including Street Drinks by Rubicon.